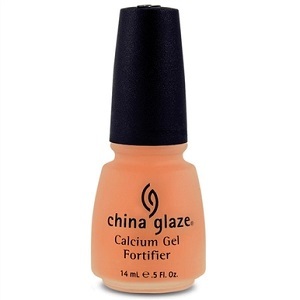 Fortified base coat helps thin weak nails grow long and strong. Thicker gel formula for those who have weak or splitting nails. It provides a more substantial coating than a typical nail strengthener. Unique formula contains Vitamin B3 and panthenol which is Pro Vitamin B5 and is present in all living cells in the form of Panthenoic Acid. The presence of Panthenol helps keep moisture in nails and prevents drying and splitting of nails. Directions: Apply two coats to clean, bare nails. Repeat every four days for four weeks. For best results, do not apply lacquer on nails.